We are working our way through each continent as a homeschooling project. Currently we are on Asia. 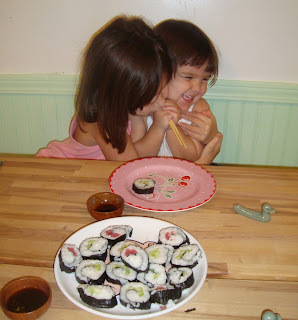 Tonight the girls learned to make sushi as a follow up to our weekend visit to the Portland Japanese Garden. I had to share these two pictures from dinner. Here you see Dotty's intense concentration as she practices with chopsticks. This is Dotty and big sister Grace's reaction when Dotty perfectly picks up a piece of sushi and puts it on her plate. I love seeing Dotty's joy and Grace's pride. How lovely that her sister is so proud! Wow, go Dotty! Most adults can't do that! We just purchased this cool product over Christmas. Check it out when you have time. http://www.littlepassports.com/ It is a monthly subscription and you receive a package from a different country every month. Not sure how it will work but we are excited to see how it goes and if our kiddos will enhoy it. 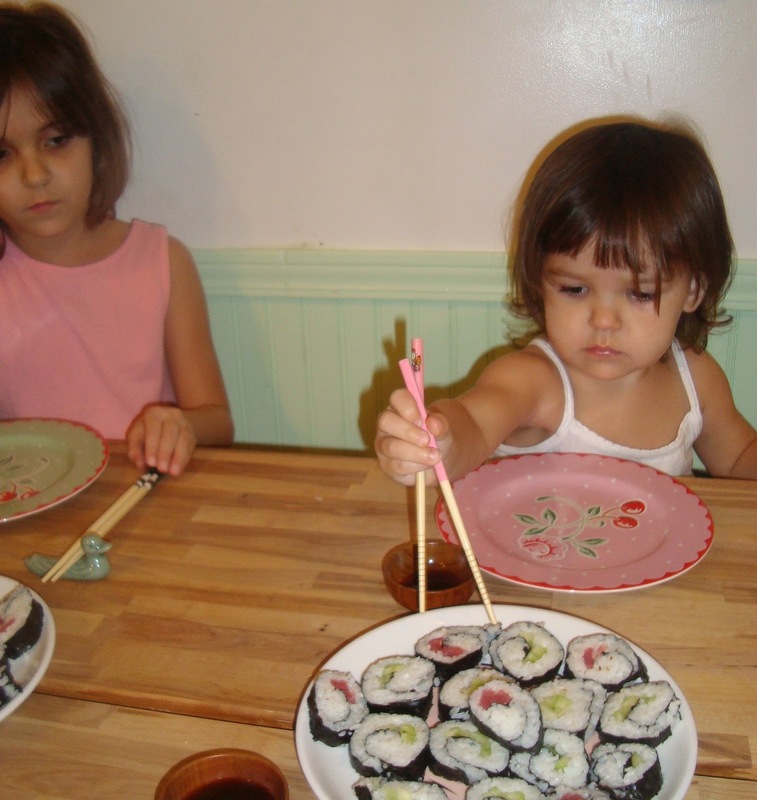 I love that your kids eat sushi! Rock on, Mama!